In Mexico, and increasingly in the U.S., the Day of the Dead (Dia de los Muertos) is celebrated on November 1st and 2nd. The holiday is time of celebration, when the souls of those who have passed come back to drink, eat and be merry with their loved ones. For us, it is also an occasion to enjoy the creative vision of artists who have incorporated icons such as skeletons, sugar skulls and papel picado into works of art. We particularly love "My Idea of Heaven" by Janet Windsor. 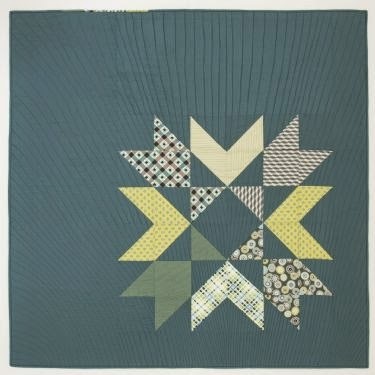 Her quilt won a blue ribbon for Best Use of Embellishment at PIQF XVIII. Janet Windsor's description card reads: "At the end of my journey this is what I hope for… an eternity spent sewing and creating”. She explains: "I love the Dia de los Muertos holiday in Mexico. I love the sentiment and the iconography. I cannot imagine a happier place to end up than at my sewing machine. So I borrowed an illustrator friend’s skeleton and took photos of it sitting at a featherweight sewing machine. I did a drawing from those photos which I then fused, appliqued, drew and painted on and heavily embellished with buttons, beads, ribbons, silk flowers, and milagros." Petal Fall, 2 x (16 x 48 x 2"), a diptych by Janet Windsor as seen at Flickr. Pieced silk and cotton stretched on frame. 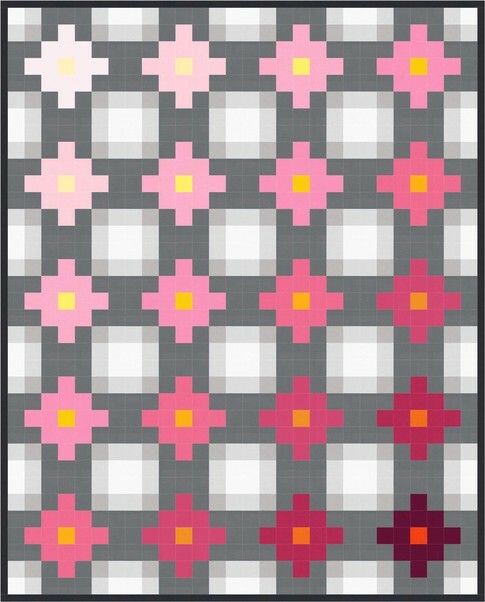 The majority of Janet's quilts are abstract pieces, including the luminous "Petal Fall" shown above. She says: "In my abstract work I always begin with photographs. I comb through them looking for colors and color combinations. The subject of the photos is not necessarily what the piece will be about. Sometimes it is just about color, although most of the time I look for photos which present the images I’m hoping to convey. Petal Fall is a depiction of the softness of the petals as they pile up on the hard ground beneath the tree. It is composed of commercial silks and cottons, and cotton and silk which I hand dye. 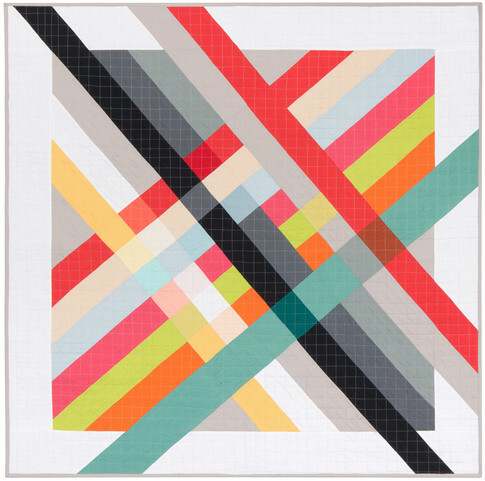 It is machine pieced and quilted and stretched on a wooden frame." "Autumn, Sonoma County" brings to mind the vineyards in Sonoma County, which are alive with color in the fall. We love the vibrant russets, golds, fuchsia and olive green hues, which are capped by the cerulean blue of the sky. 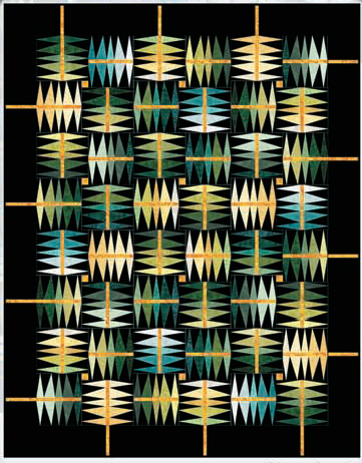 This piece was selected by Studio Art Quilt Associates for the Seasonal Palette exhibit, which is premiering this week at the International Quilt Festival in Houston, November 1-4, 2012. For the exhibit, the curators selected 37 artists from a field of 144 entries. After Houston, the exhibit will travel to the International Quilt Festivals in Long Beach and Cincinnati. 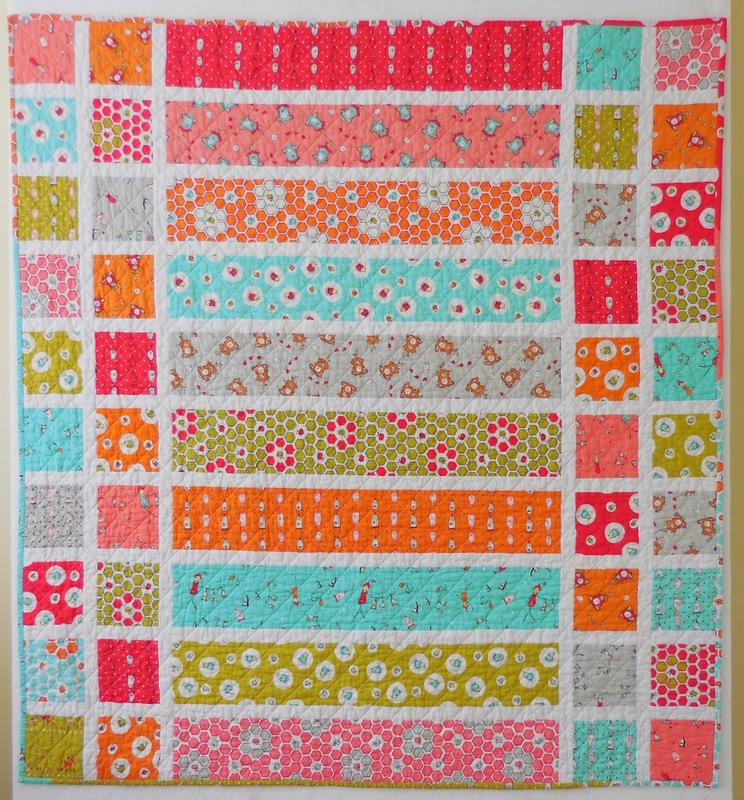 We've had such fun showing you all the fabulous quilts of P.I.Q.F. 2012. Today we are concluding our regular coverage of this great show, but we'll return occasionally to feature "The Best of PIQF 2012" with some very interesting works that we haven't shown before. Let's go ! "Best of Country" blue ribbon award winner for the United Kingdom, Kathleen writes, "My eldest son lives near Rotonia in New Zealand. We have travelled around the North Island and South Island several times; such a beautiful country." ( Note : Aoetearoa, pronounced "Ow-tay-ah-row-ah", is the native Maori people's name for the land that is now New Zealand). Kathleen adds, [This work is] "Hand and machine appliqued. Embellished with sheer fabrics and metallic fabrics, heavily machine embroidered and machine quilted." Kathleen continues, "I found inspiration from many sources, including my photography, advertising, tattoo designs, art, and historic paintings. I hand dyed my own fabrics and fabric painted the center panel." ( shown immediately above). Winner of the blue ribbon, "Best of Country" award for New Zealand, Hazel states, My inspiration comes from a photograph I took in India of a small carved wooden panel. I have created a tryptych with a different floral motif in each centre. The colours are chosen to reflect the vibrancy of India. The three panels are constructed individually and stitched together. 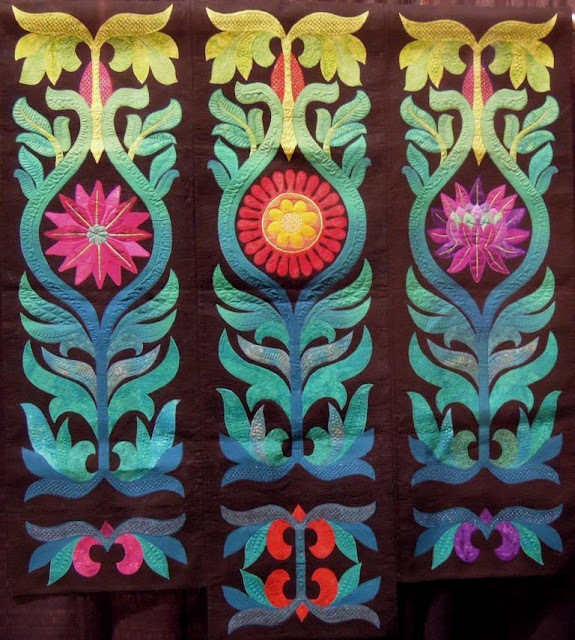 The piece is machine appliqued in satin stitch and extensively machine quilted, then embellished with hand-sewn beading. Fabrics used are cottons and silks." Reiko notes, "My husband and I volunteered as members to help with the decontamination of radioactivity in Fukushima. There are many problems recovering from the disaster. The things we have trouble with are invisible and without scent, which reflects radioactivity. It is necessary for us to develop power to see invisible things. Many precious kimonos were lost from the tsunami ( in March, 2011). So, using Kimonos, we hope that we Japanese will maintain high wills to recover from our losses." 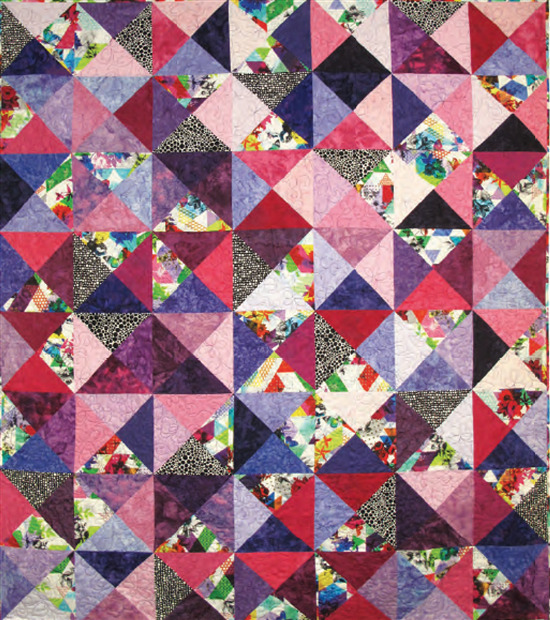 Linda says of her original design, machine pieced quilt, "Quilting gives me energy when I am exhausted with other aspects of life; it's like a mutual relationship, one feeding off the other. The act of quilting gives me space to express my creative energy, even when I am otherwise tired and depleted. Little by little, the 'hands-on' experience of quilt making helps clear my mind, inspires new ideas, and gives me energy for other parts of my life. 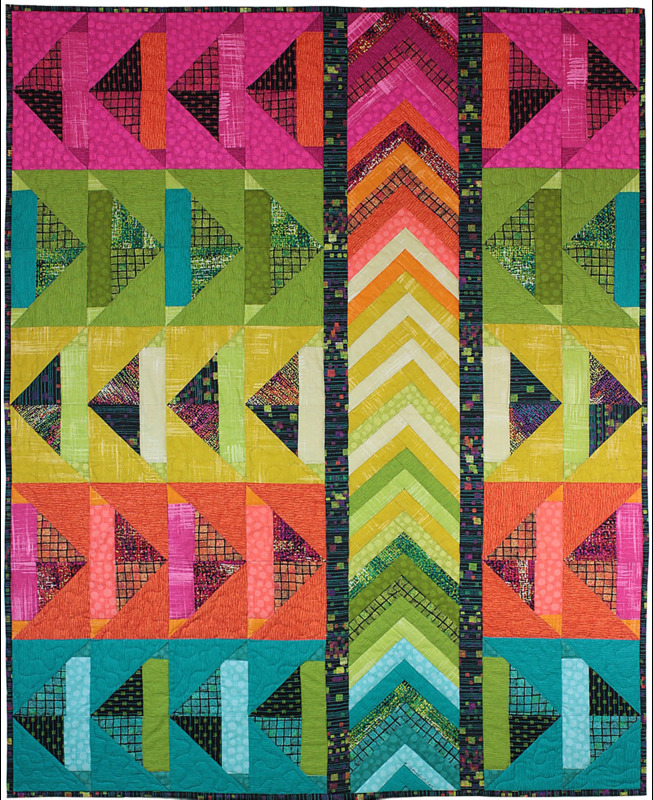 Long arm quilted by Holly Casey." Frances writes, "When they were young, I used to tell my boys stories about an angry little penguin (Poiter) and a wonderful dromedary (Cecil) who always saved the day, by knitting something wonderful. I used intense applique and machine embroidery with some fabric tinting to show the moment Cecil kissed Poter on the head at the end of the story - 'See, Poiter, I have knitted you a palm tree.' The story is embroidered around the binding." Linda says, " Ode to Joy is inspired by Gustav Klimt's 'Choir of Angels in Paradise' from his Beethoven Frieze in Vienna, Austria." We can almost hear the choir singing one of many well-known church hymms based on the "Ode to Joy" music. 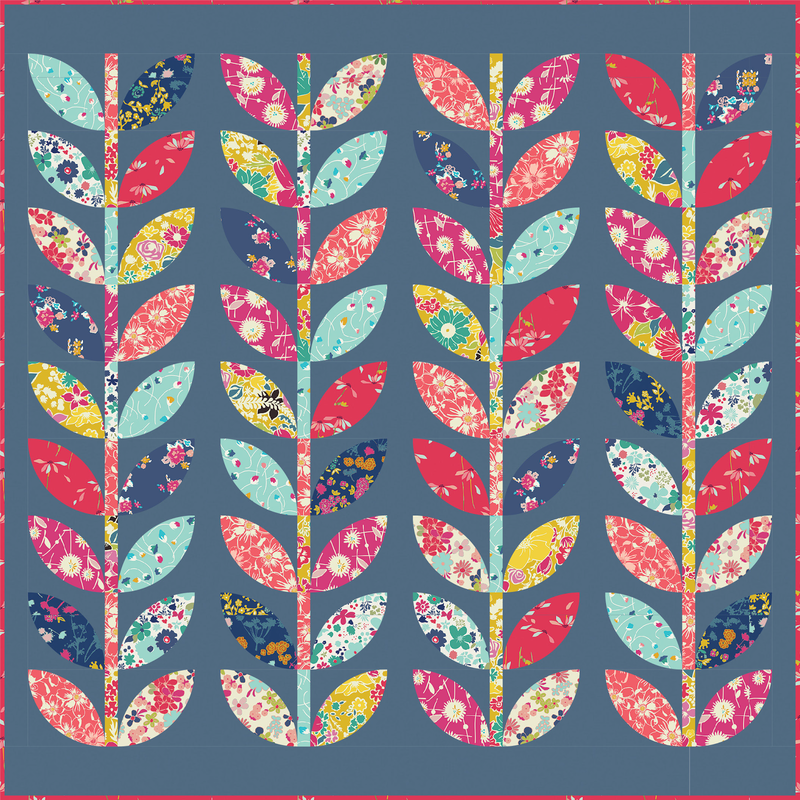 Elizabeth explains, "I am a gardener as well as a quilter. I love flowers. Using scraps of my beautiful fabrics, I decided to make a flower quilt. 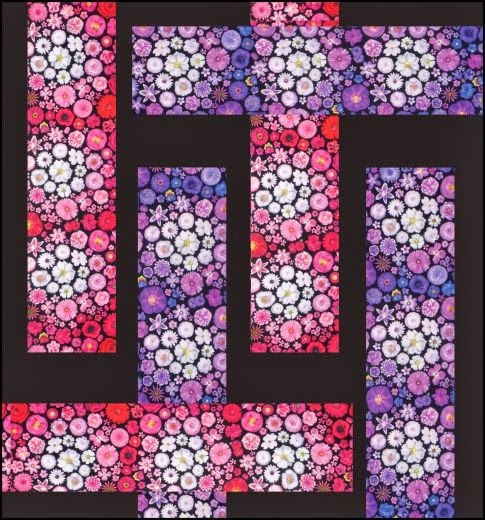 I have looked at many pictures of flower quilts in quilting books and magazines. All the flower patterns come from there. 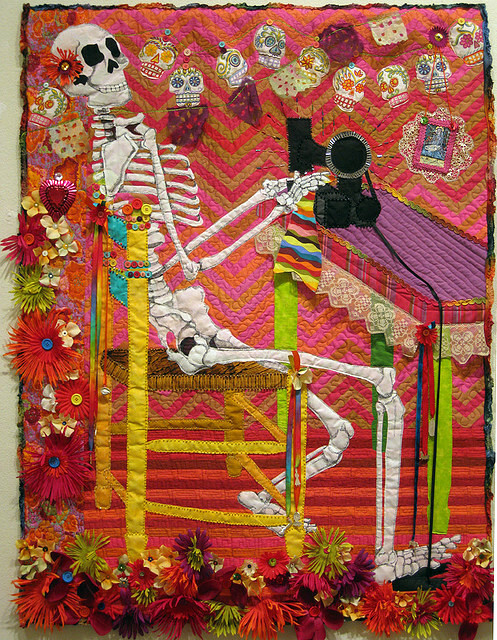 [This work is ] machine pieced, hand appliqued, and hand quilted." 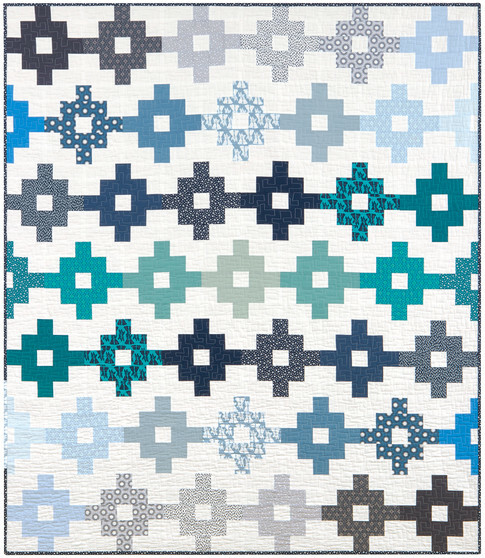 Second place winner for Best Wall Quilt, Jeanie writes, "Ponte Vecchio (Old Bridge) is a bridge in Florence, Italy, built in 1345 over the Arno River. It has been preserved for seven centuries, escaping the bombs of World War II. There used to be butcher shops and tanneries on it, stinky and nasty. Today, there are only gold and silver shops. This quilt was a year in the making, exclusively needle turned hand applique, hand embroidered, and hand quilted. Tsukineko inks have been applied for shading. Exactly 80 different fabrics were used." 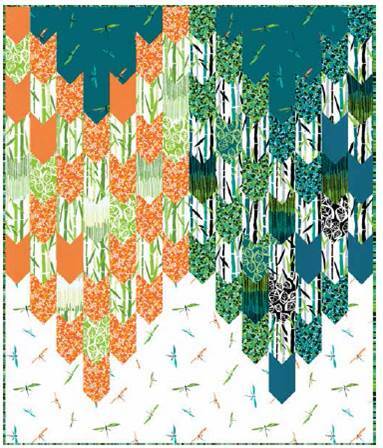 "I've always loved batiks, so with my vast collection of scraps, this was a perfect pattern !" says Kathy. It was fun making the 146 prairie points [around the outer border]. The most challenging part was turning under the 1/4 inch to slip stitch around the points, because it doesn't have the traditional binding." 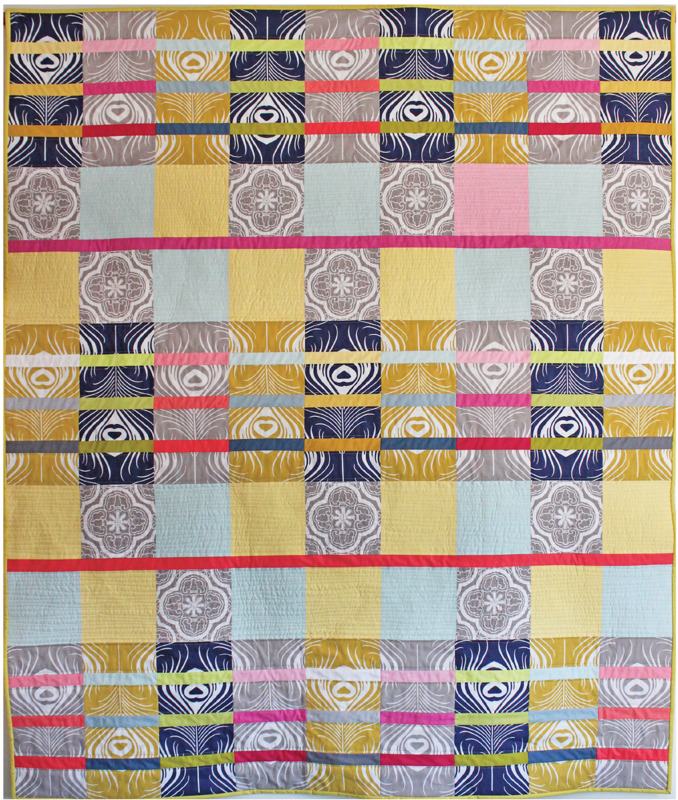 Jan notes, "This quilt is an original design started in a workshop with Ursula Kerns at the Empty Spools Seminars in Asilomar, California. 'Q' is the most powerful vitamin, and I am well supplied with it; no supplements needed ! [This creation] was inspired by California wine country. I used different colors and shapes to evoke the beautiful landscape ! 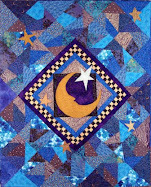 Free form pieced on a muslin foundation, this work is machine pieced and machine quilted." 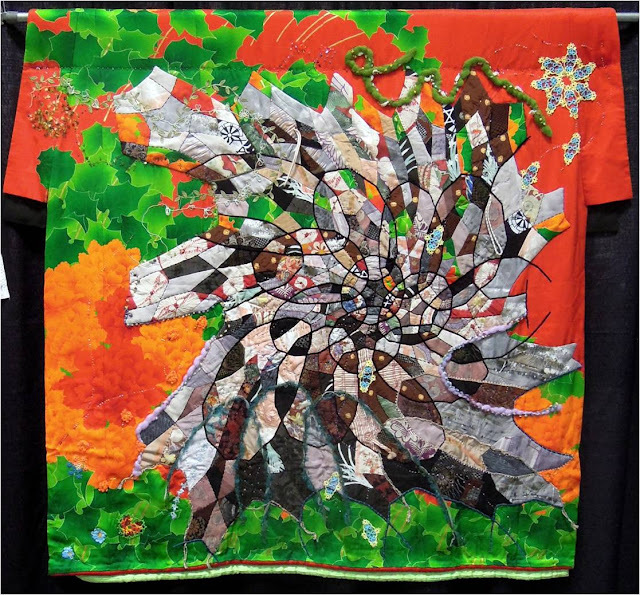 Welcome to Day 9 of the Pacific International Quilt Festival 2012. 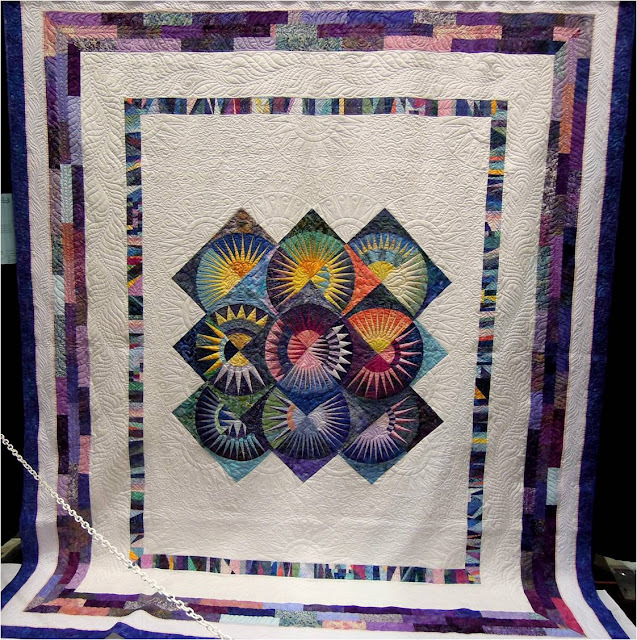 We really admire the artistic and personal strengths of these quilt artists, and we're delighted to see the innovation and workmanship which they bring to this large quilt show. Let's go ! Elimine writes, "I have used two different fabrics with gradation by Caryl Bryer Fallert to create the illusion of luminescence. 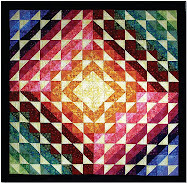 I want the quilt to glow with radiant light appearing to come from within the quilt. In order to get the above effect, I manipulated the value, intensity, and color against each other, with blue at the top and warmer colors at the bottom. 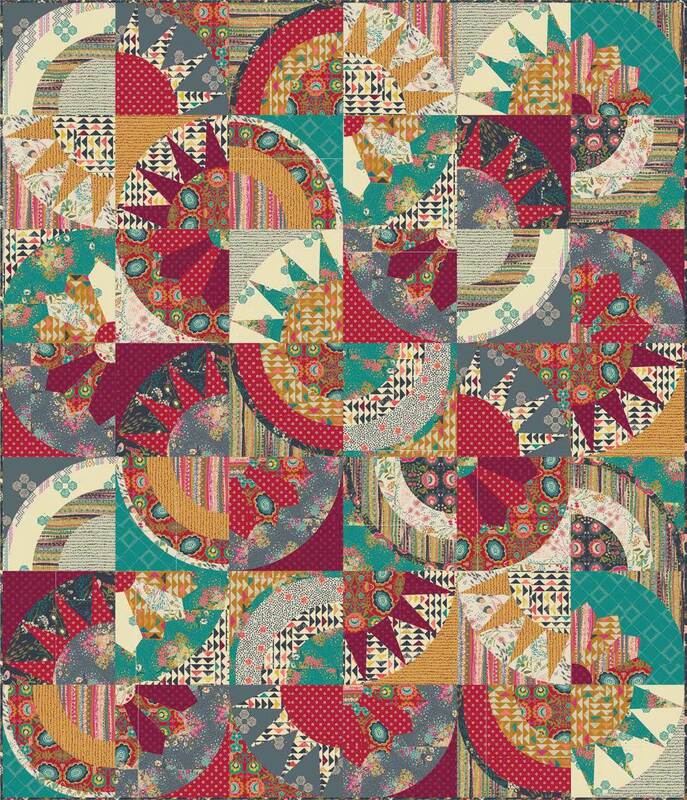 Machine pieced and machine quilted." "I was diagnosed with ovarian cancer at the age of 38", says Lisa. "The tumor was discovered during treatment for endometriosis. This piece explores the evolution of my self identity during this time. Teal [blue] is the color of the ovarian cancer ribbon. This is a self portrait that is both vulnerable and fragile. The large butterfly represents the silent symptoms of this deadly disease, while the smaller butterflies symbolize the women that have come before me and will come after me. I also hope to convey my own resilience as well as that of my OVCA sisters as we band together and fight for a cure. [ Created with ] raw edge applique, machine quilting, commercial fabrics, hand painting and discharge dye." Rachel says, "The genesis of the world is portrayed in the style of a vintage, double-hemisphere map. Note the creatures creating transitions between water, sky, and land : snail, mouse, elephant, and giraffe." 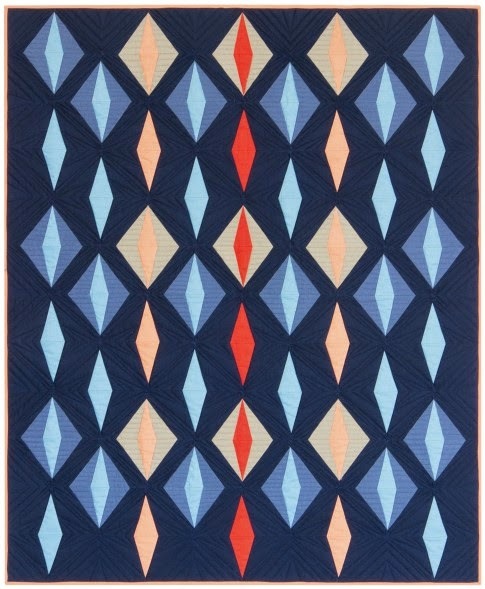 "This quilt is based on and inspired by Clarice Cliff pottery from the Art Deco period," notes Rosalind. "Her plate designs have been the main design source and have been adapted into circular machine applique blocks. 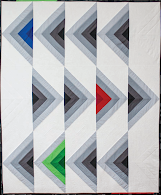 Both the design period and colors are outside my comfort zone, so this quilt was a huge challenge.Machine pieced and machine quilted." Mary Kay explains, I began this in a class in Sisters, Oregon. It's from a photo of my dog, Shade, when he was a puppy. I wanted a small dog. He was 19 pounds at the time. He grew up.......now he's 80 pounds. While his name may be Shade, he brings a lot of sunshine into my life. " Mary Kay's work is machine pieced, machine appliqued, and machine quilted. P.I.Q.F. 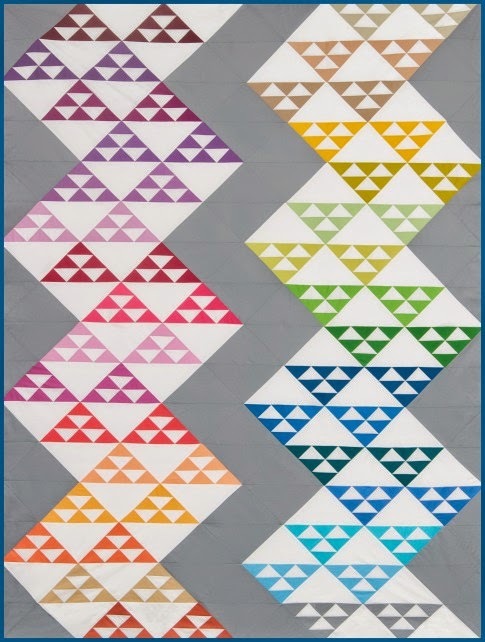 2012 is a great place to see very innovative and creative quilt designs ! Let's go ! This dapper, rainbow-striped zebra with the three-dimensional tail is really a fun design ! Elizabeth writes, "My vitamin has always been the desire or itch to create and be with creative people. Create something; be it fabric, clay, sculpture, drawing, painting -- it's my reason for being. 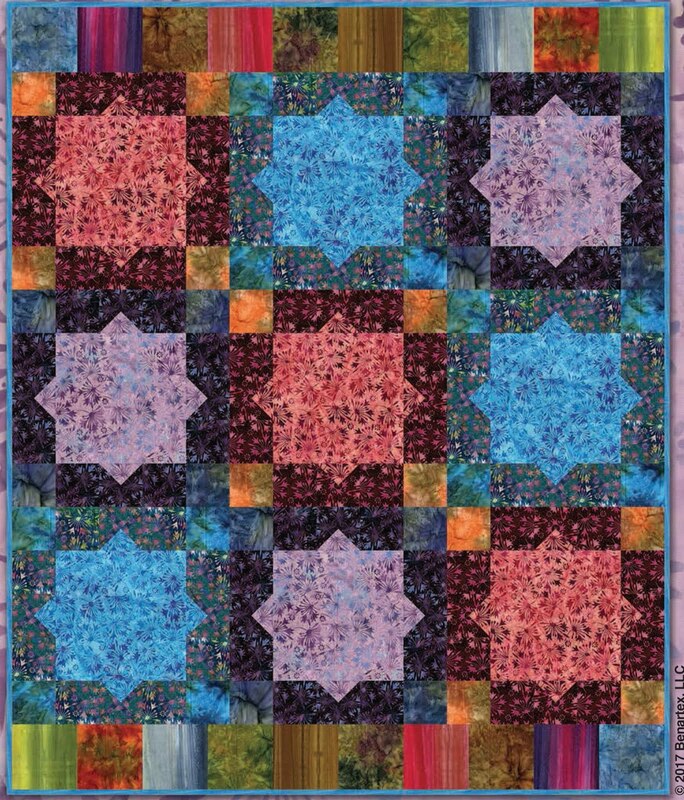 This design (machine pieced and machine quilted) is an original by Susan Charles who also did the quilting. 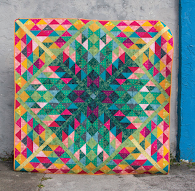 I had a blast recreating it with Kaffe Fassett fabrics and giving it my touch." 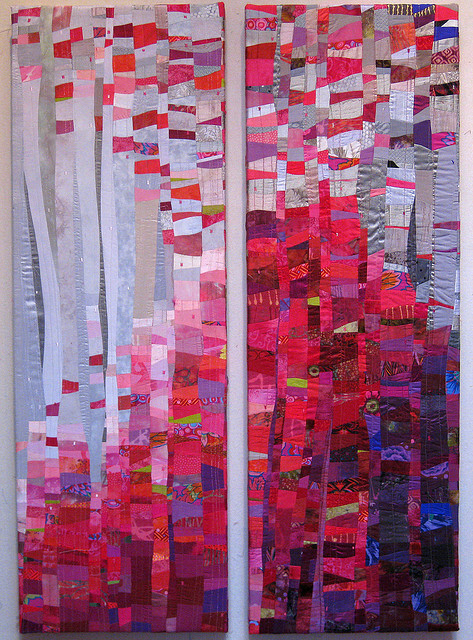 This fascinating work by Chieko Baba, over 7 feet long, is all hand-pieced and hand-quilted. In the traditional Japanese hues of indigo, taupe, and gray, it commemorates the capital city of Tokyo, Japan, in the 17th century, when the city was built along a series of elaborately winding moats. Chieko says, "A long time ago, Edo (now known as Tokyo), was a beautiful water town." We were amazed by how skillfully quiltmaker Chieko Baba crafted tiny pieces of fabric into very realistic looking tile roofs, windows, kimonos, and other fabulous details. Can you find the miniature Japanese fans displayed on the wall outside the store? Alicia writes, "Maps fascinate me. I feel that mapmaking is an ancient and crucial activity of humankind. Maps tell us where places are; help us find our way, describe features of the earth, and they can also be aids to wielding power. 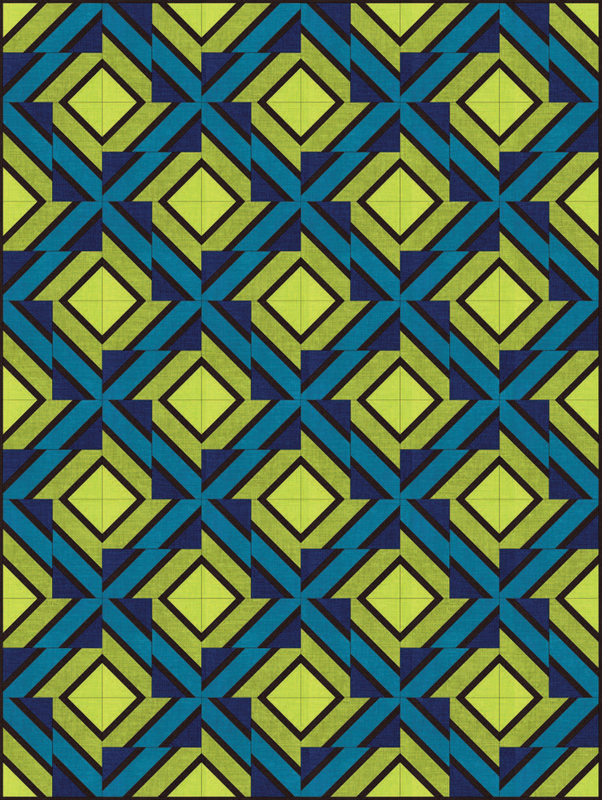 I used color, line, and texture to construct my complex pieced maps. City Lights is an imaginary map, inspired by the aerial views of a city and the surrounding countryside, with its roads crisscrossing the fields, as seen at night from an airplane." 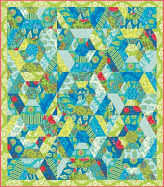 We really like Alicia's intriguing, unique design, which is machine pieced, machine appliqued, and machine quilted. Helga notes, "Our universe has so many planets and stars; it is so fascinating to me that it inspired me to create this work. This is a free technique with different hand-dyed fabrics ( some from me), machine sewed and quilted. Please do not miss the black hole near the bottom." (Can you see it ?) We think that Helga's work is very contemporary, well-planned, and most original. 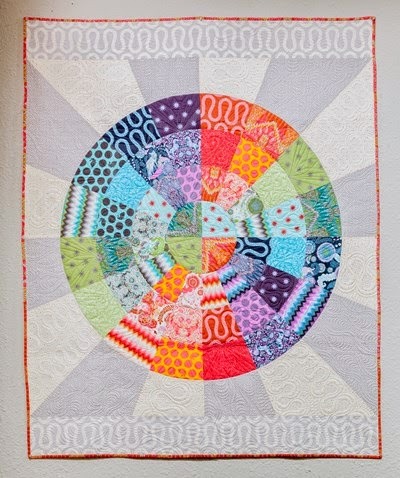 Notice the circular quilting which complements the shape of the planets in orbit. 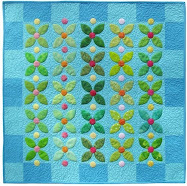 Here's a gorgeous landscape quilt, with many three-dimensional leaves and flowers created by tiny bits of fabric. Kay writes, "The landscape along the Hawkesbury River (near Sydney, in New South Wales), is fascinating, with its steep sandstone cliffs, topped by eucalypts and trees and shrubs clinging in the crevasses. Seen from a boat on the river, from the train or a car crossing the bridges, it changes its mood with the light, the weather, the time of day, and the seasons. I love the play of the intense purple of the Jacaranda tree against the vibrant orange rock." 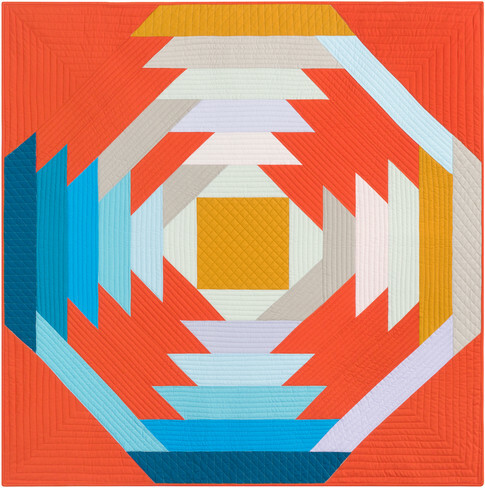 There are so many fabulous quilts to show you from P.I.Q.F. 2012 Let's go ! Patricia writes, "The background construction is based on Kente cloth from West Africa, where they weave and sew strips of fabric together. I constructed the background with plain strips and incorporated my design on top of this. Africa is known for its rhythm of beating drums,, dancing figures, and being a continent of may ethnic cultures. I wanted to give the impression of rhythm and movement throughout without focusing on a particular culture or people." 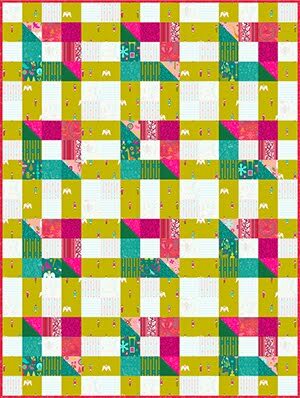 Patricia's work, which is machine pieced, machine appliqued, and machine quilted, radiates a lively sense of wonderful energy. Winners of "Best Interpretation of Theme" (Vitamin 'Q' for quilting), Sharon and Mary remark, "Quilters are social creatures. 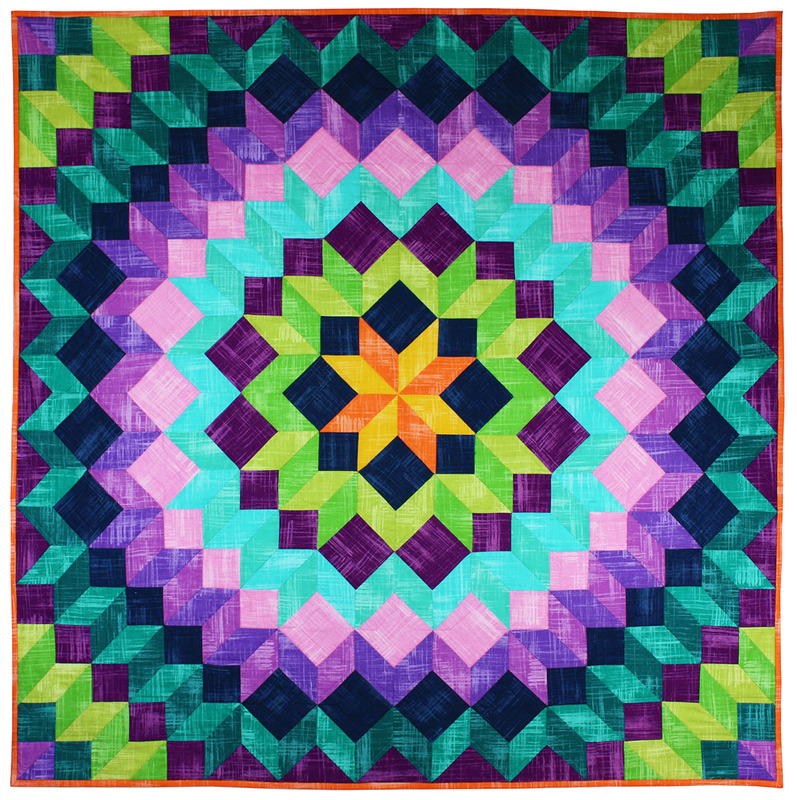 Our energy and creativity is boosted by sharing with quilting friends. 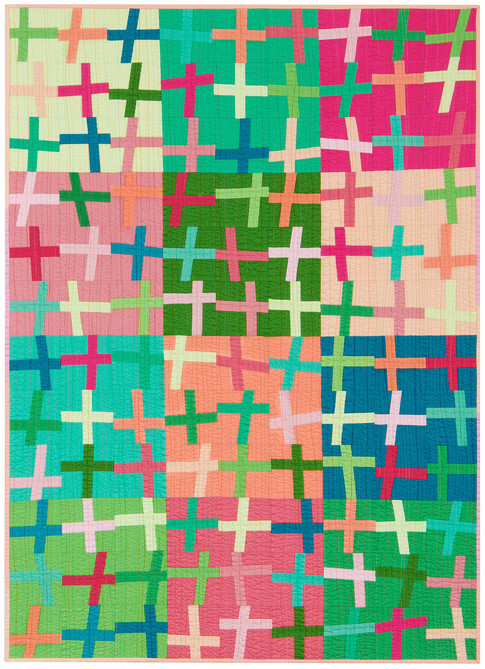 In quilt groups, the most popular activity is 'Show and Tell.' 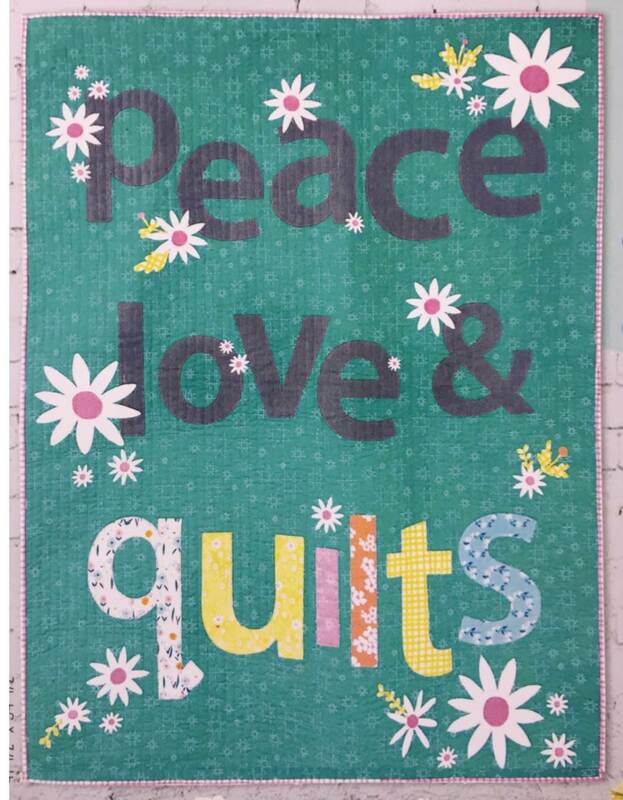 Each quilt is created with enthusiastic support. Better than vitamins ! 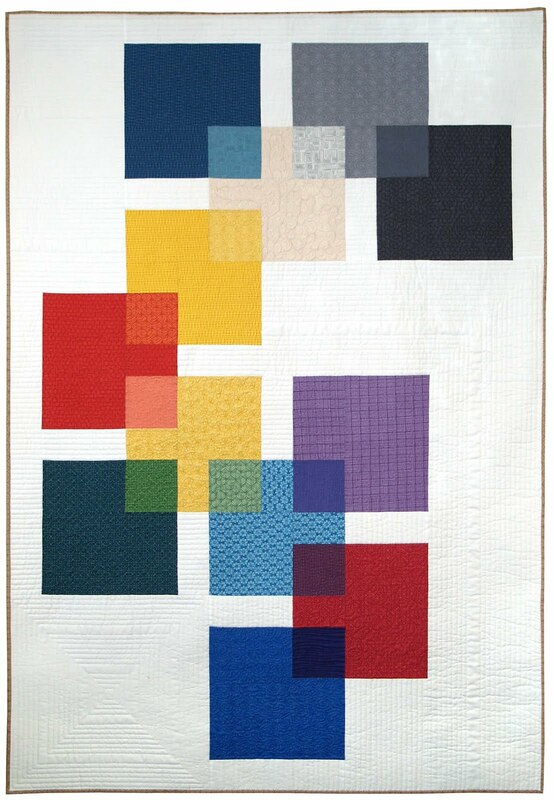 [Techniques and materials include] commercial cotton fabrics, raw-edge collage, fused, machine applique, and quilted by two quilting frieds, who each designed and produced one piece of the diptych. " We think Sharon and Mary's work is so cute because it's a quilt about showing off quilts ( note the line-up of quilters, each one with her treasure to display) , which is now hanging in a quilt show, PIQF ( see the miniature sign on the easel) ! 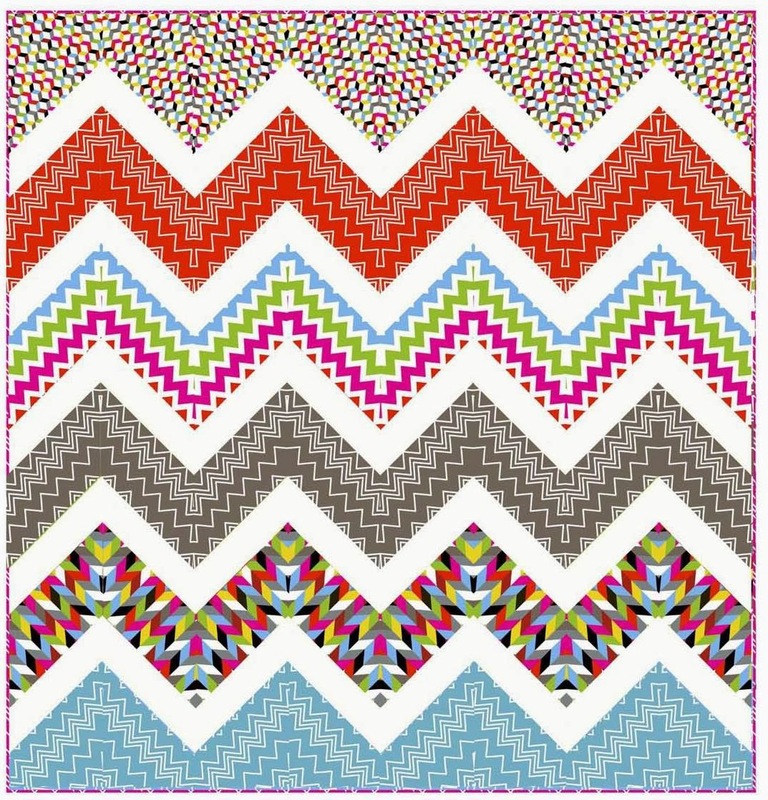 Linda says, This quilt started in a workshop on couching. I used a Florine Johnson rooster pattern. It took on an attitude all its own. 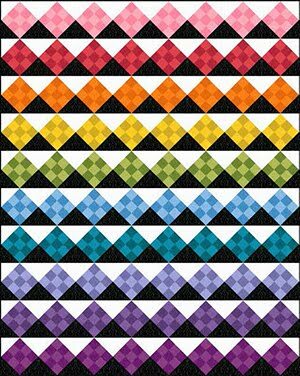 The source of my quilting energy comes from taking different ideas techniques, patterns, and materials and combining them into a "multi-vitamin" quilt." We think Linda did a great job in imbuing Lorenzo the rooster with a very "cocky" personality and pride! 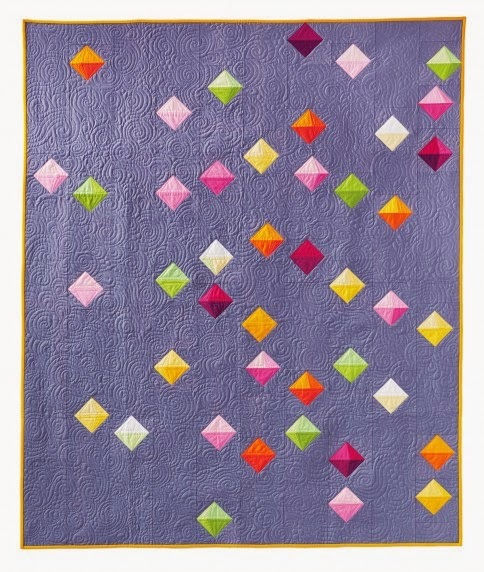 Gwenfai notes, "Started several years ago, this quilt was redesigned several times -- coming in and out of the cupboard and spending time on my design wall, until I was finally satisfied." Gwen's work is machine pieced and all hand quilted. 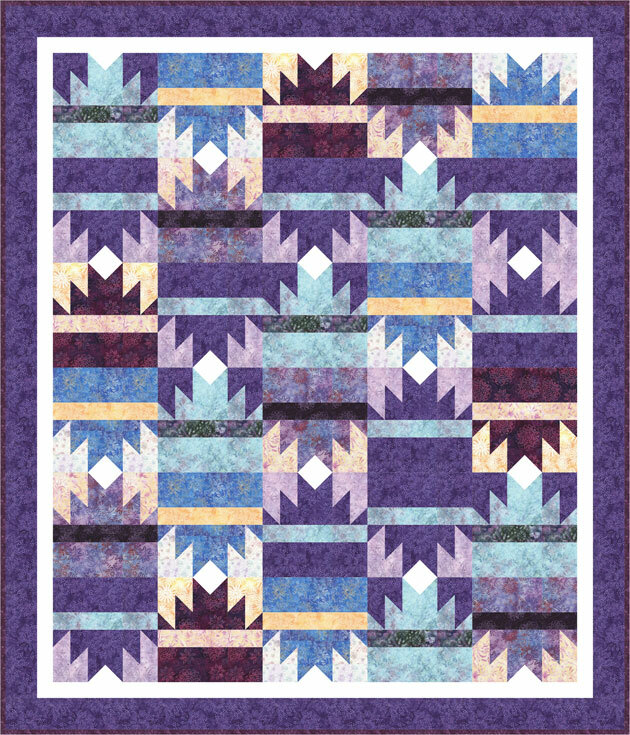 We've posted this quilt in extra-large size, so you can look carefully and see all the various quilting designs chosen by Gwenfai. We found the curved diamond or curved leaf designs done in between the points of the outer stars to be especially intriguing. 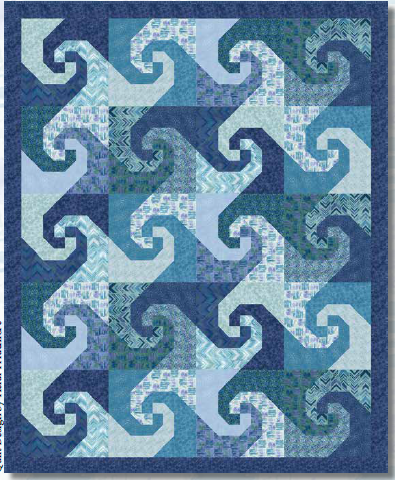 "The premise of this quilt is "standing firm in the surf with peace and joy", says Gail. "This design was inspired by my daughter surfing in the Pacific Ocean. I used wool batting, cotton fabric, trilobal polyester thread, and art paints sticks to construct the quilt. " 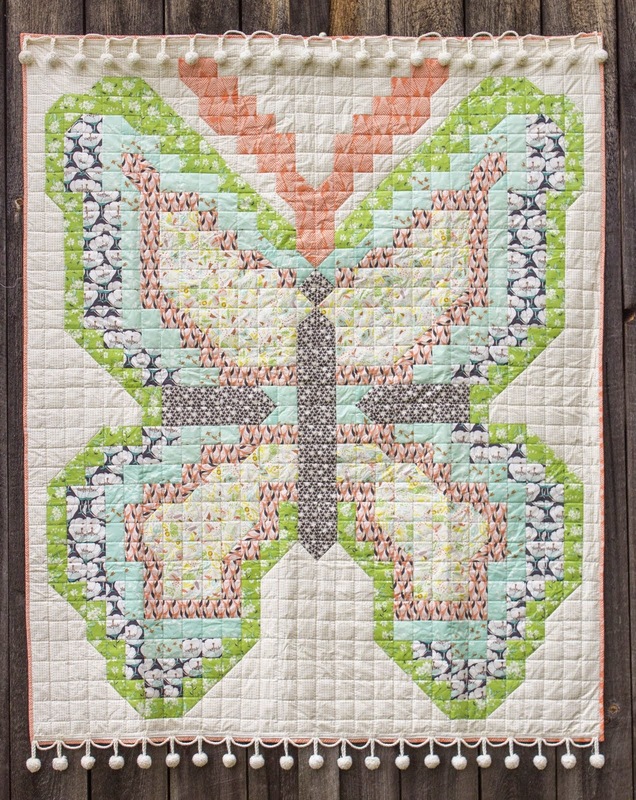 Gail's original design is hand appliqued, machine pieced, and machine quilted. We really like the creative, contemporary manner in which she designed the ocean waves. 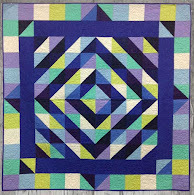 It's a great day to visit a quilt show, especially all the wonderful creations at P.I.Q.F. 2012. Let's go ! Mary Kay writes, "The five-piece band represents live performance music. The musical notes and signs acknowledge the genius, inspiration, and math of the score. In the background, behind and underneath these two elements, are wavy bands of human spirit and artistry. Talented musicians take up these instruments and put their hearts and souls into performing the musical score." 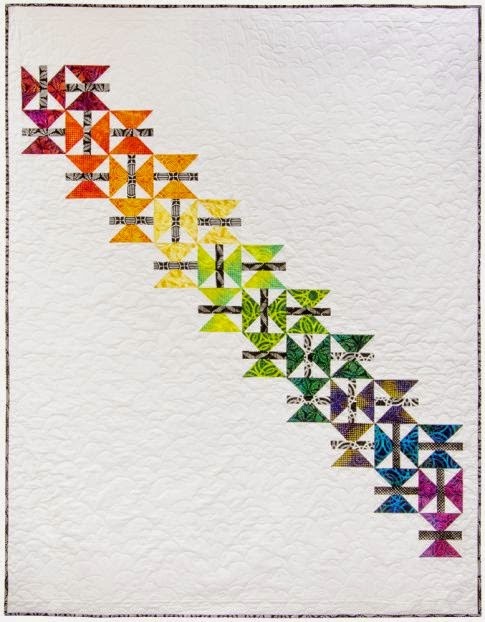 We were very impressed by the thought, care, and artistry that this quilter put into her original design, which is machine pieced, machine appliqued, and machine quilted. This very admirable memory quilt was created to commemorate the 100th anniversary of the April, 1912 sinking of the RMS Titanic, registered in Liverpool, England. The artist was inspired by a concert held in Liverpool Anglican Cathedral to mark the Titanic centenary. Pat explains, "Top section: Liverpool Welsh choral logo, embroidered by Pat Mitchell; Liverpool Liver bird, Welsh dragon, and treble clef... Middle section: White Star Line, Blue Ensign, Royal Mail Pendant, Stars and Stripes, and French tricolor.Ship's band, typical passengers, and workers. Bottom section, Titan ship made over small papers as ship parts." Here you can see the individual patches which have been carefully embroidered with the names of Titanic passengers. On the lower left, the artist has even included some patches of original photographs of those who sailed on the Titanic. "Best of World" winner at the World Quilt Festival in August 2012, Linda Roy has created a lovely three-dimensional original design, almost 7 feet square, which is entirely hand-quilted. Wow! Fortunately, Vintage Button Bouquet came on tour out to PIQF, so we could see Linda's outstanding workmanship. 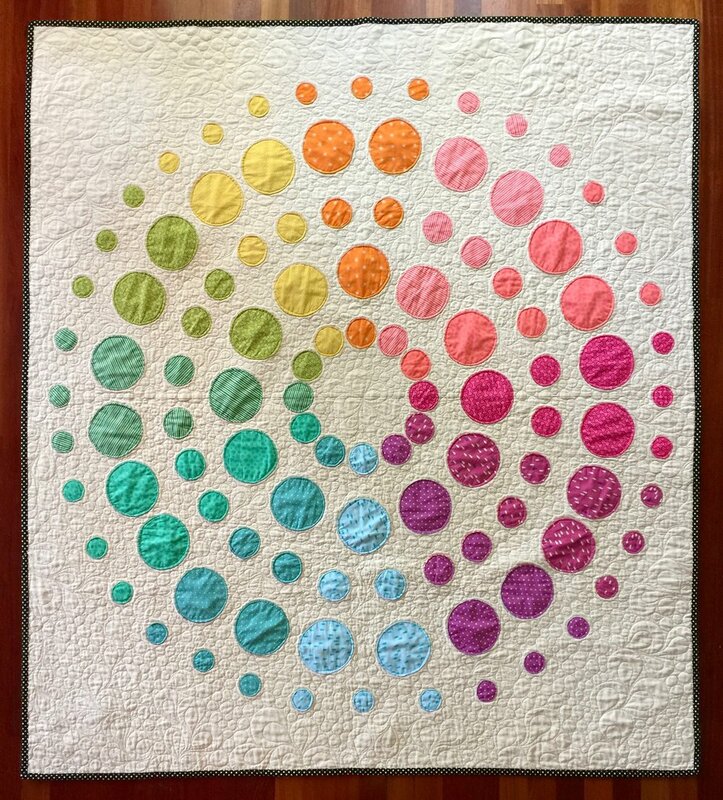 She writes, " Inspired by 1850's-1880's antique buttons found in bracelets and watches purchased at "Prize Possessions" at national quilt shows, the quilt mimics the color palette found in many of the buttons." We loved these lively, eye-catching flowers, which Suzanne imbued with so much personality. She says, "Exotic, stunningly beautiful and vivid flowers of the Southern Hemisphere. Immigrants to Australia brought with them flowers from South America and Africa; the flowers now flourish in my country, Australia, alongside beautiful native flowers. " 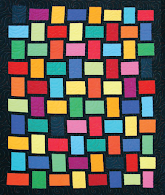 Suzanne's bright, cheerful work is machine-appliqued and machine quilted. 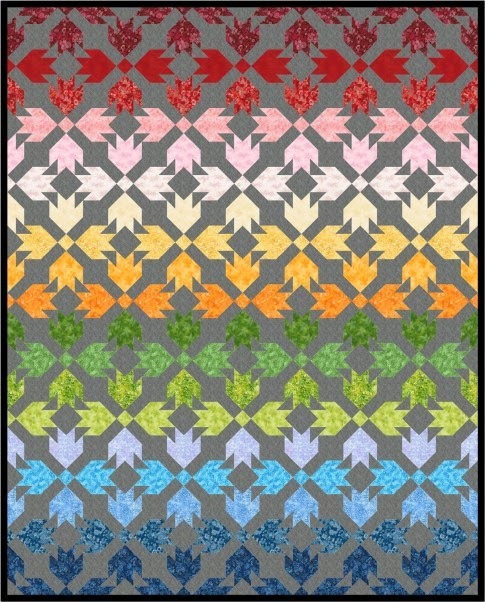 Elizabeth's vibrantly colored and immaculately pieced quilt is done in a striking mosaic design. 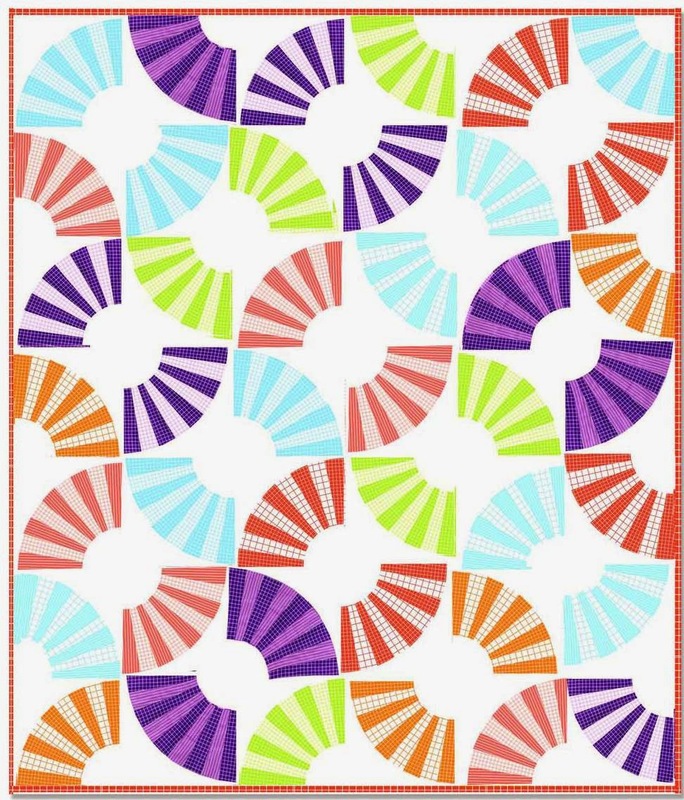 She writes, "This quilt was inspired from a picture created by Manuel Merten. [He] was born in 1985 and has Downs Syndrome. Very early on, he started to draw and paint, and made a legion of extraordinary paintings. I like and I am fascinated with his unconventional colour creations and the powerful expression of his work." 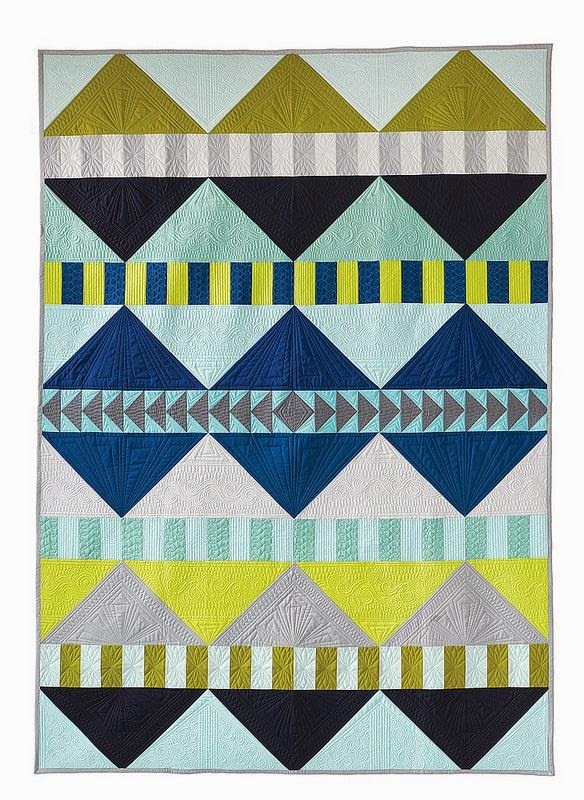 Are you ready for more quilting loveliness from P.I.Q.F. 2012? Let's go ! Annette designed these vibrantly colored, textured, dimensional panels to symbolize vocalists.The letters on the top of each panel are abbreviations for the various vocal parts choral music : Tenor, Soprano, Alto, and Bass. She writes, "The voices of a choir are building altogether with their different acoustics, a unity that is completed through the voice of the soloists. Colours are underlining the voice types, pearls are reinforcing the festivity. 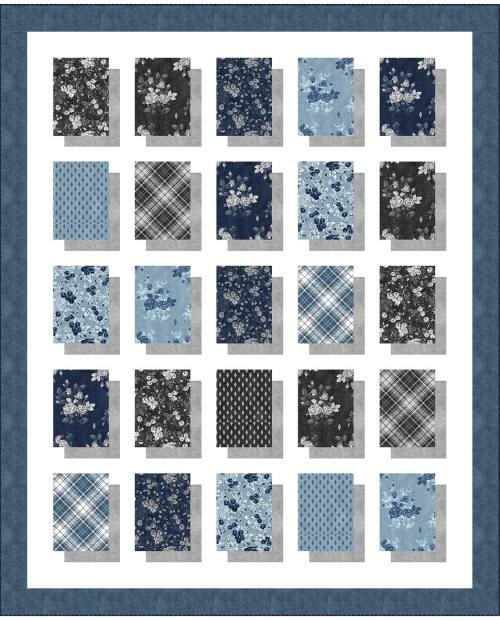 Fabrics are cut freehand and are free motion machine quilted. Every "voice" is is referenced with a block of loose fabric strips. On top, a loosely sewn strip : the soloists voices are getting one with the choir. On the bottom, I hand embroidered 36 steps from Caligavearunt oculi mei ( a classical liturgical piece) by Tomas de Victoria." 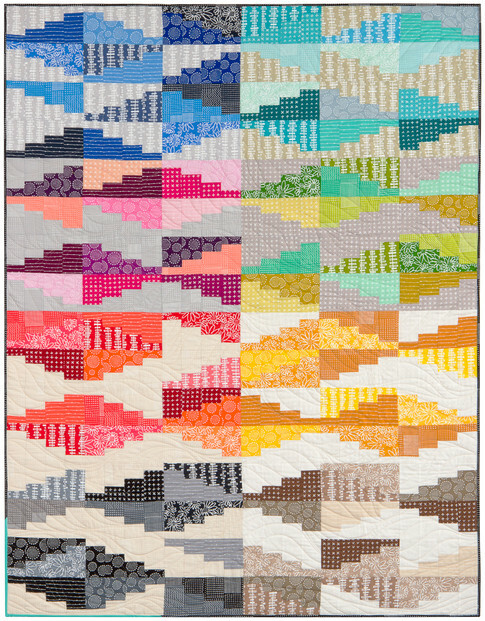 Blue ribbon winner for "Best of Country", Australian quilter Linda Steele writes, "I was inspired to design a contemporary Crazy Quilt with an Asian theme. I used a free motion, thread painting technique and quilted it on a domestic sewing machine." Linda's scenes of traditional Asian cultural symbols include a pagoda, koi fish, cranes, panda bears, and a classic tea garden. We were fascinated by the bottom of Eastern Elements, which includes a breathtaking embroidered dragon, complete with flames from his mouth, all done in metallic gold thread. 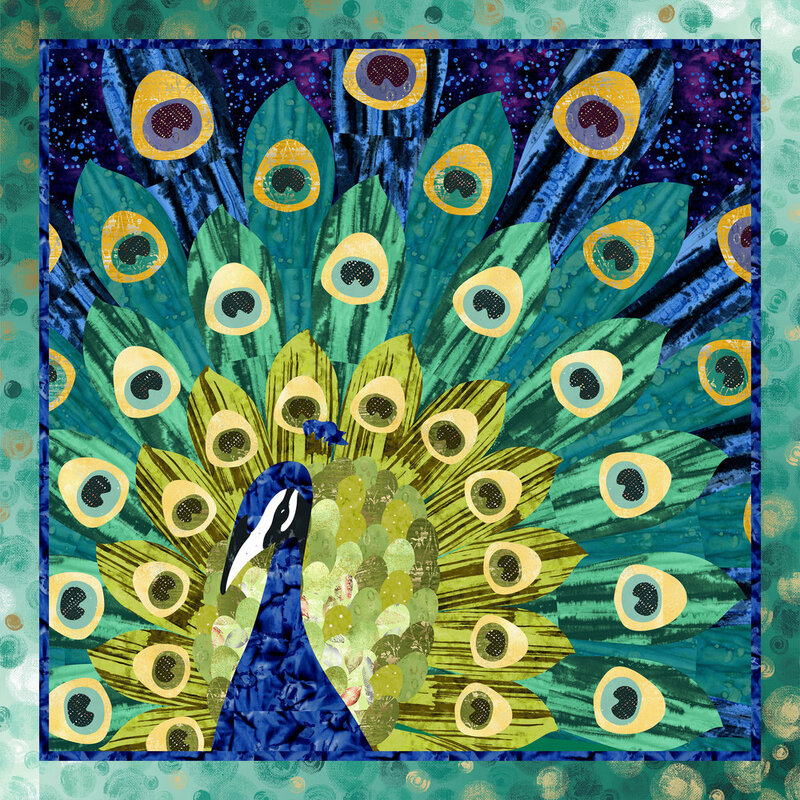 A Truly Feathered Star, 74 x74, by Karen Sievert, Gainesville, Virginia. 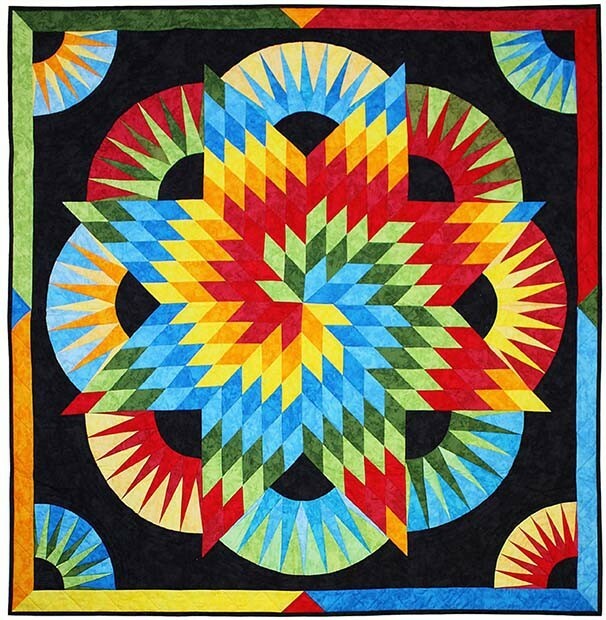 A Truly Feathered Star won the blue ribbon for Best Traditional Quilt in last summer's World Quilt Show, so it came on tour to California with the PIQF show. Karen notes, "Quilt making is a journey...sometimes reflected by our fabric and pattern choices, that's the road we take. Sometimes we hit bumps in the road or detours and have to learn a new way to get to our destination. 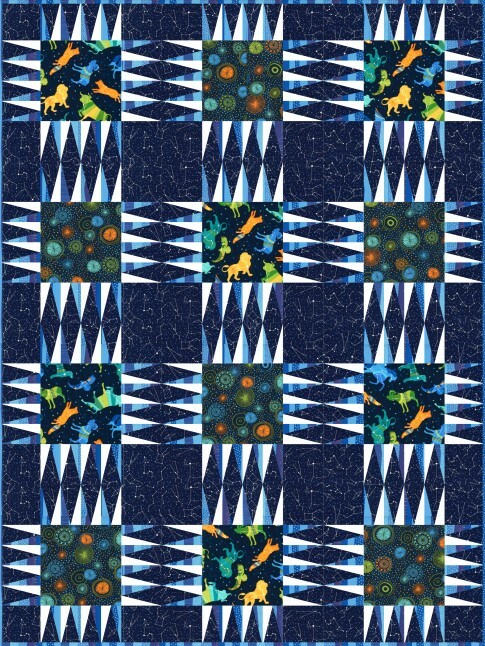 This quilt was a journey for me! It started with an idea, and like all of us, I learned a lot along the way.But, piece by piece, stitch by stitch, I finally got to my desination. " 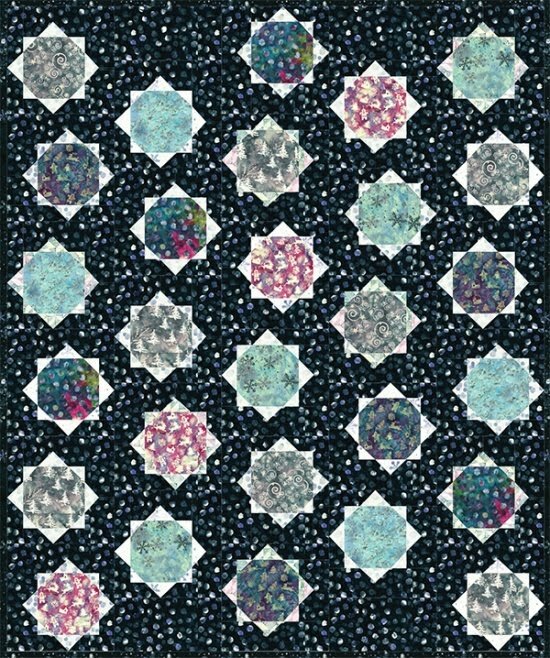 We were very impressed with the exquisite and artistically designed long arm quilting patterns that formed their own diamond medallions in the center and sides of this work. 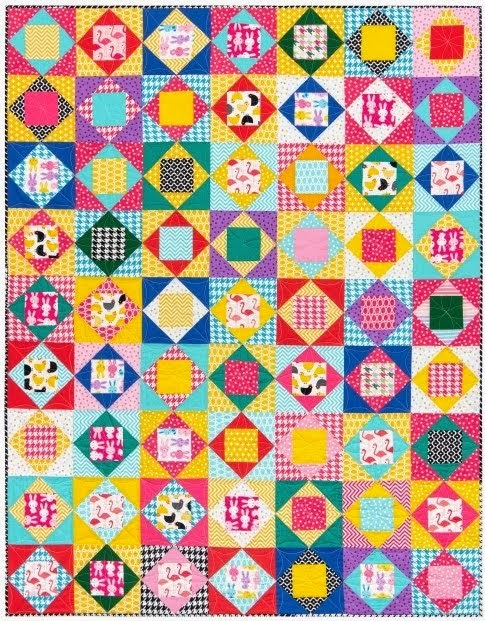 "I loved the quilts my grandmother made from the scraps of dresses........she taught me to sew when I was young", writes Karen." My memories of happily sewing with her are the sources of my quilting energy. I drew the flowers and cut them mostly from hand dyes. I thread embellished the top before doing the quilting, so the flowers would be dimensional. 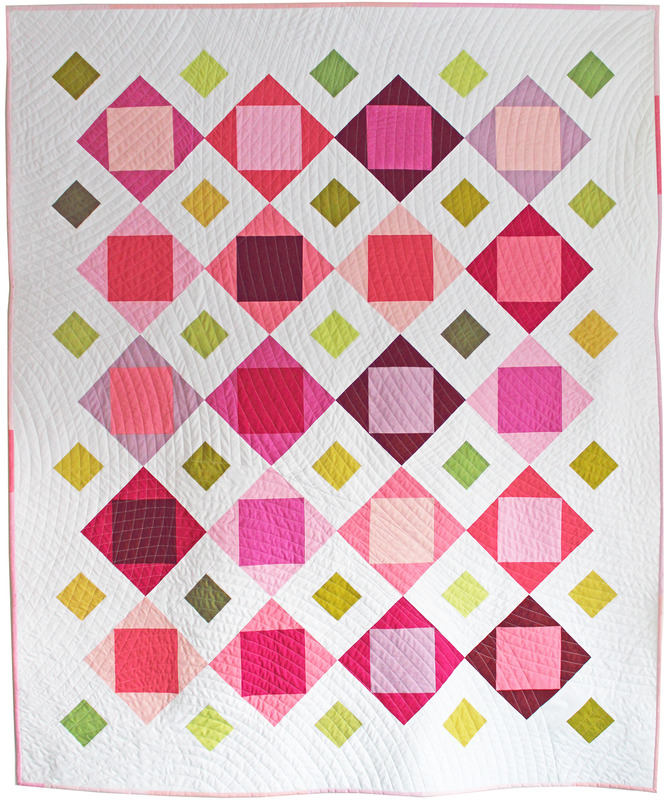 Then, I designed the quilting to fit...and I hand painted the background ( a pure, delicate pale pink)." As well as being "pretty", this original floral wreath design also has such a romantic, charming look to it. Nancy has done an outstanding job of capturing the very expressive, soulful faces of these clearly beloved pets. 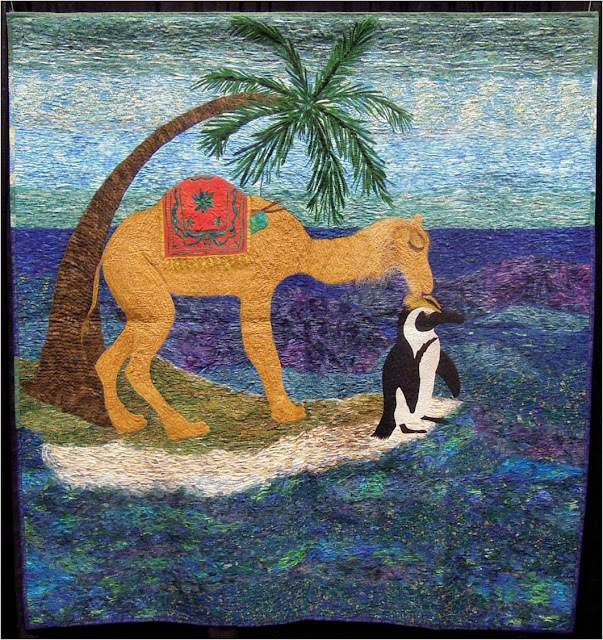 She says, "The source of my quilting energy and my inspiration are all of the wonderful animals of this world. This quilt depicts the happy family of Cassidy and Chase ( Rhodesian Ridgebacks), Mashatu ( a Savannah cat), and JasPurr ( a grey and white cat). This quilt was understandably very popular with the many viewers, including us, who stopped to admire it. 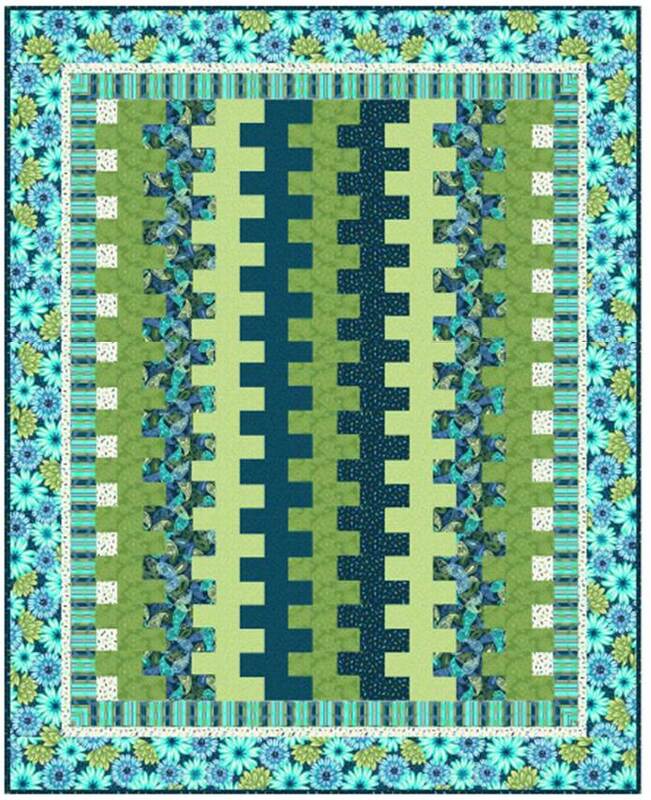 We were impressed with Nancy's artistic idea to extend the intricately collaged leaves and sky background into the border of her original design. 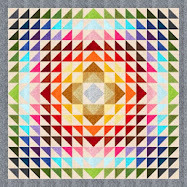 Let's go see some more dazzling quilts at P.I.Q.F. 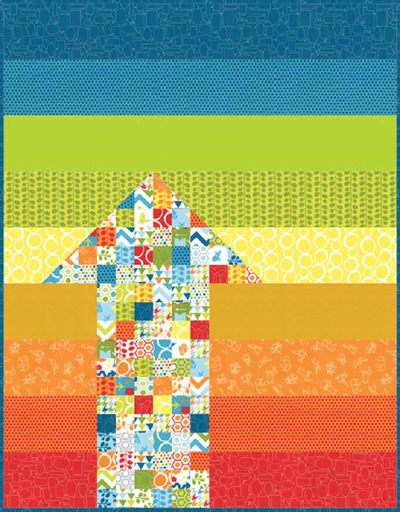 2012, the biggest quilt show on the west coast of the U.S.A. We're inviting you to be the quilt show judge and tell us which of these quilts you would choose to win a prize ! We're looking forward to hearing from you, as we always read your comments very thoughtfully. First place winner for Best Machine Workmanship in the traditional quilts category, Marilyn says, "This quilt was designed using Electric Quilt Design Software 6 and my favorite Moda and Cherrywood fabrics." 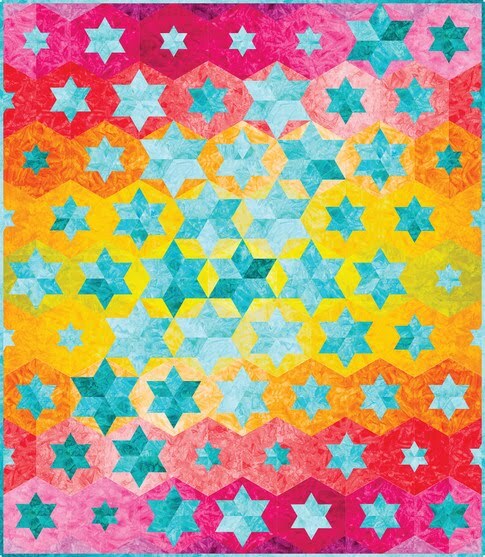 Notice the precise half square triangles of the outer border, whose points reinforce the star pattern of the blocks. 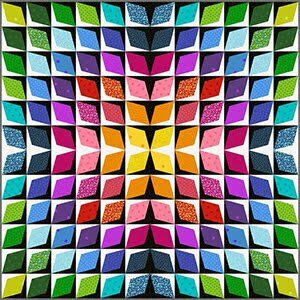 This graceful, perfectly proportioned symmetrical design is at home in any decor, and the colors and patterns are pleasing to both men and women. 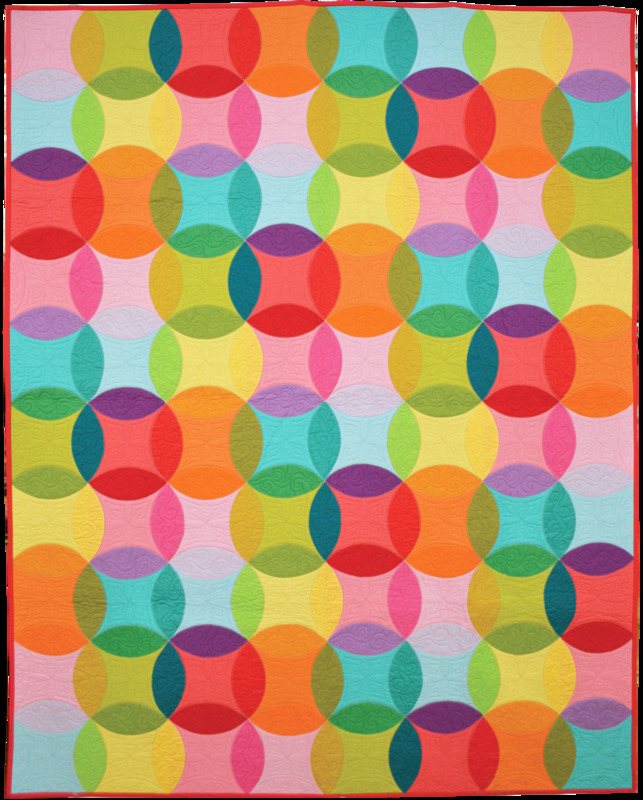 Cherrywood Fabrics are 100% cotton, but they have a soft, brushed, sueded look and feel to them, so they handle beautifully in a long arm quilting machine. We were very impressed by the variety of patterns shown here. 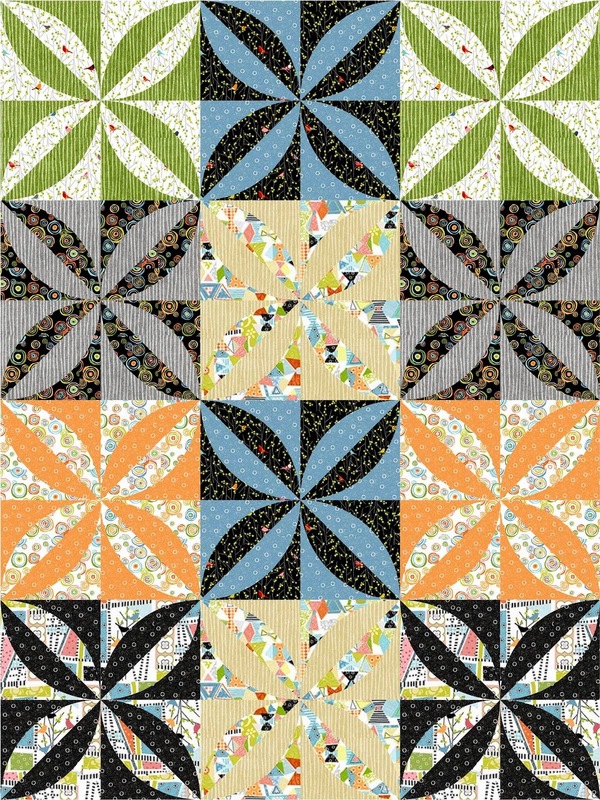 Marilyn made a wonderful choice of fabric, along with a perfect selection of quilting designs. 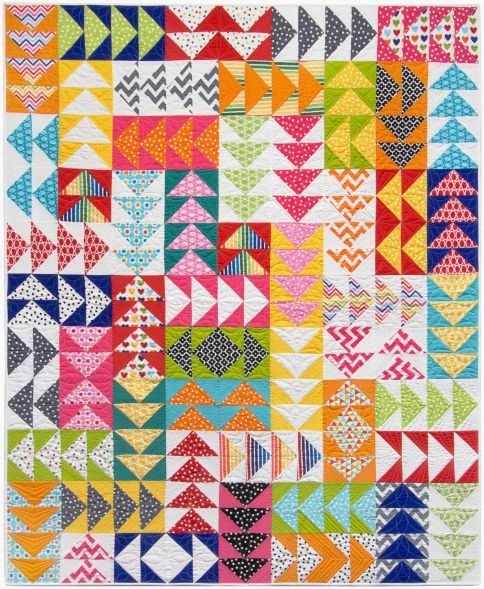 Caroline notes, "I have always been attracted by scrap quilts, so the techniques of strip piecing and reassembling the parts has always fascinated me, too. 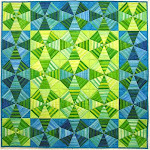 A strip piecing workshop by Jan Hassard gave me the inspiration for this piece. 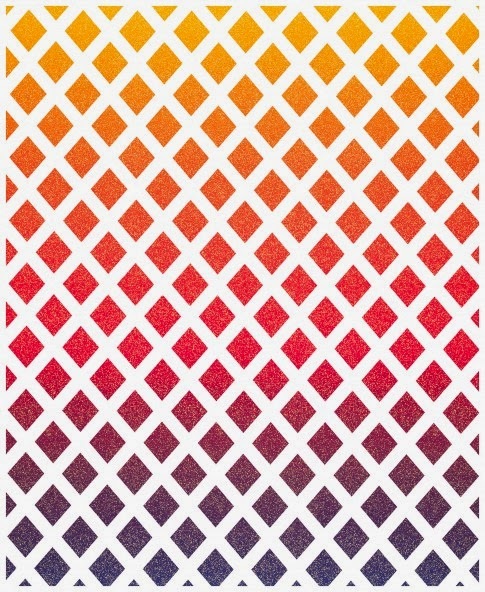 The placing of colours on a dark to light scale and then deciding on the juxtaposition of more colors, without quite knowing the outcome gave me hours of fun. Commercial and hand dyed cottons. 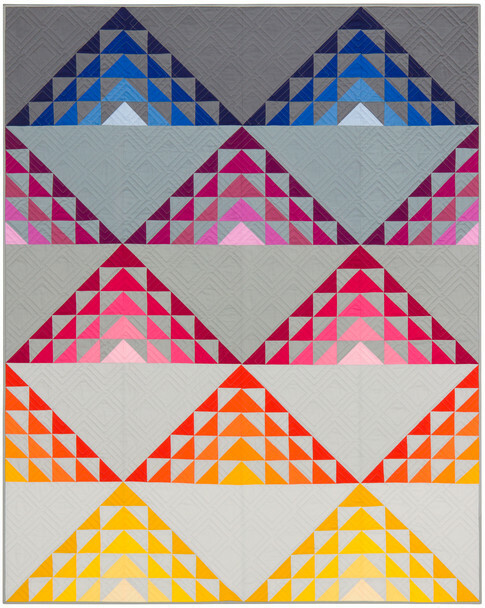 Caroline's beautiful fabric hues, gradated from deep to pastel monochromatic tones, look so pretty together in this machine pieced and machine quilted geometric contemporary work. Who doesn't remember the childhood joys of splashing cheerfully through rain puddles? Blue ribbon winner for Best Machine Workmanship in the innovative quilts category, Tanya writes, " An unrepentant little boy forges his own path through a flooded parking lot, and in doing so, creates a miniature tsunami." 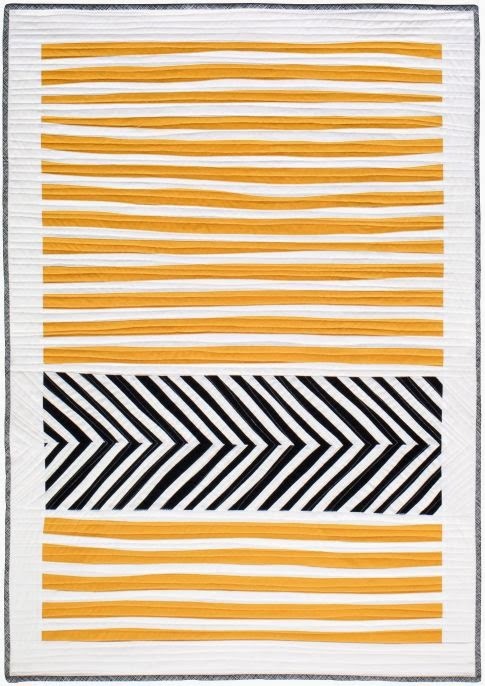 The subject of Tanya's original design may be lighthearted, but there's nothing carefree about the intense and diligent long arm quilting here. Based on the comments we heard from surrounding viewers, they were awed and delighted by the expert skills on display in this work. And on the topic of rainy days, here are three small children sharing a giant umbrella, whose gorgeous colors replace the absent sunlight. Notice the thoughtful artistic attention to detail : the colors of the umbrella and the children's clothes are skillfully reflected in the water at their feet. Donna tells us, "Fascinated by color relationships and feelings evoked by them, I began this series using umbrellas as the subject matter and an exciting split complementary color palette. 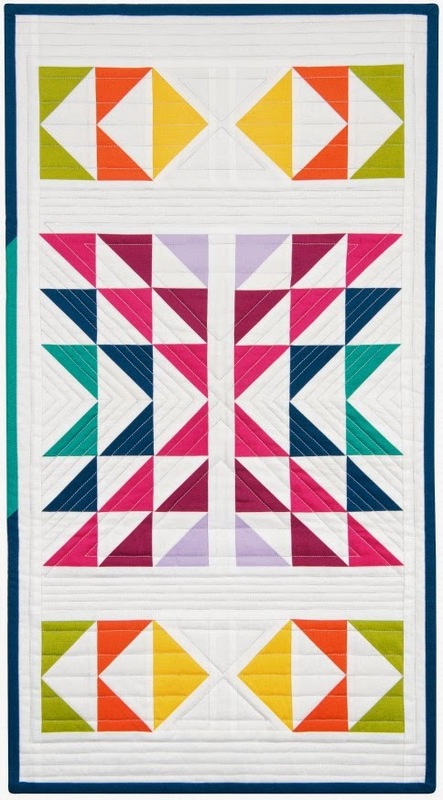 Color definitely gives me my quilting energy. Machine appliqued and quilted using commercial and hand dyed fabrics, and multiple threads, both polyester and metallic."